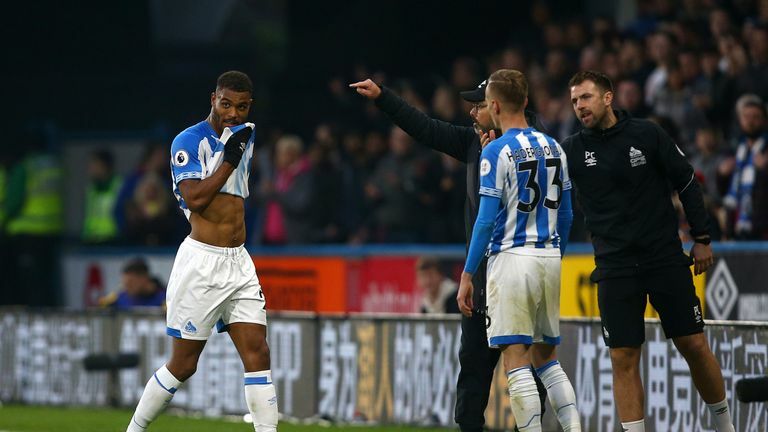 Huddersfield have appealed Steve Mounie's red card awarded in Saturday's 2-1 home defeat against Brighton, says head coach David Wagner. Wagner described the decision send the striker off for his challenge on Yves Bissouma as one of several "big mistakes" made by referee Michael Oliver on Saturday at the John Smith's Stadium. After the defeat, Wagner said: "The red card, if it's a red card then the challenge on Erik Durm is one as well from my point of view, clear holding on Pritchard which is a penalty and a red card, it was a clear chance in front of the goal. "There is nothing to discuss other than the decisions, which were in my view all wrong." Referee Michael Oliver sent off Huddersfield’s Steve Mounier for this tackle on Brighton’s Yves Bissouma - but was it a bit harsh on the striker? Speaking to the media ahead of Tuesday's trip to Brighton, Wagner confirmed they would be challenging the decision. 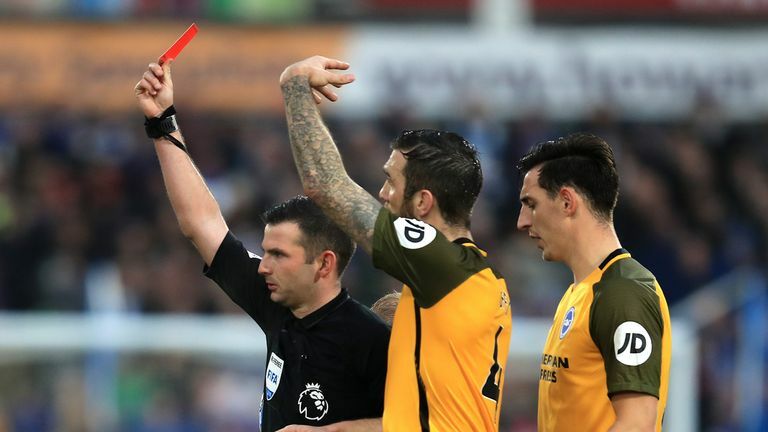 He said: "We appealed Steve Mounie's red card and hope to hear something back today. I've seen the video footage and still have the same opinion I had after the game." 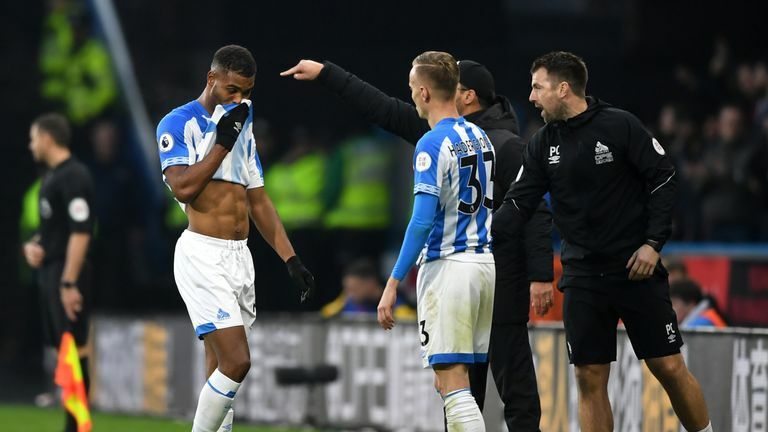 Huddersfield were leading within the first minute after Mathias Jorgensen, returning from suspension, scored the Premier League's quickest goal this season. However, following Mounie's sending off after 32 minutes, Brighton gained the lead in the dying moments of the first half through Shane Duffy, with Florin Andone's header sealing victory with 20 minutes to go.